LEAP! 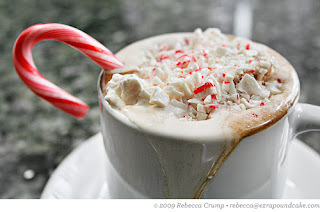 : Easy Peppermint Hot Chocolate! Okay everyone, it's almost December! My grandma used to put up one Christmas decoration a day - but we have to wait a few more days until December 1st... So what's another way to start getting into the Holiday Spirit? Put on the tea kettle (you may need help with this). 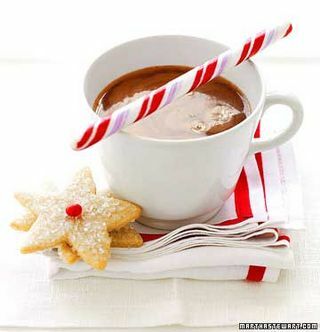 While the water boils, add some milk and hot chocolate powder to your favourite mug and mix it with... A Candy Cane! Once the water is boiled, ask for help pouring it into your cup and then stir it with your candy cane. *Click on the pictures' links if you want to try fancier recipes!